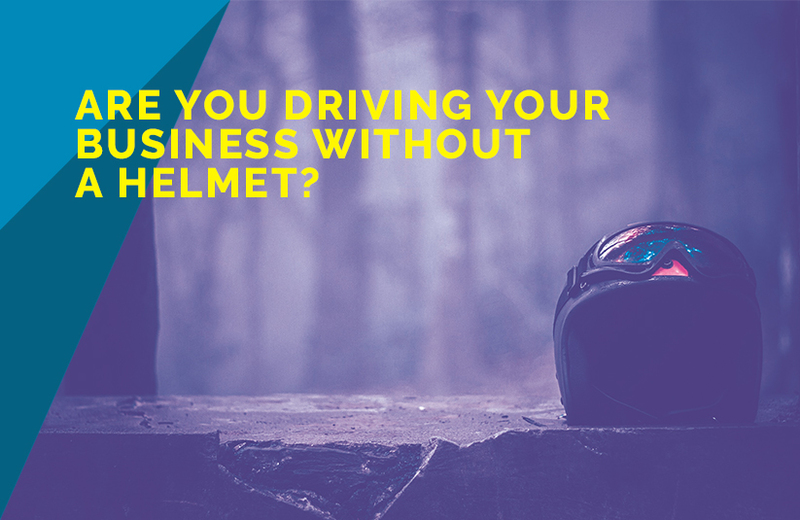 Business Safety: Are You Driving Your Business Without Helmet? Not having a business plan, proper marketing strategy, and not conducting regular market research is akin to driving without a helmet—you are extremely vulnerable to any kind of fatality in case of any accidents; in this case, you are exposed to a lot of risks which otherwise, can be easily prevented. As everyone knows, you should wear a helmet while riding motorcycles. The same concept applies to business. Replace the word “helmet” with a business plan, contingency plan marketing strategy, capital, and market research. Now read the same sentence again. Are you driving your business without a business plan? Are you driving your business without a contingency plan? Are you driving your business without a proper marketing strategy? Are you starting your business without sufficient capital? Are you driving your business without conducting proper market research? Now you get the point. Here is why “driving” your business without a “helmet” is dangerous. A business plan is an important part of starting a new business. The fact of the matter is that business plans can take up a chunk of your time. It requires research and getting your data right. While writing a business plan, you will likely come across a facet of your business that needs in-depth research. However, not every business person is sold on the usefulness of a business plan. Experts also argue that taking the time required to write a formal business plan leads to the startup process being delayed that cost valuable prospects for a small business. Studies have even found that there is no effect on the success rate. On the other hand, leading experts argue that entrepreneurs who take the time to write formal business plans are more likely to achieve success. The point here is, the success rate doesn’t depend on your ability to write a business plan, it depends on your ability to drive business. Having said that, the process of writing a business plan helps you to straighten out your ideas; the research involved in the process helps you establish facts and figures and come up with something that is viable rather than a fantasy. Not having a business plan is like not having a goal for your business. Business goals give you the required direction while starting your own business. They help keep you on track. In order to achieve the success that can be sustained, businesses must repeatedly re-examine their goals and visions. No one can guarantee success in life. That’s why you should always have a backup plan for when things go awry. This doesn’t necessarily mean that you need to have a full contingency plan. At the very least, be mentally prepared to handle a crisis effectively. Have the gumption to make big, rational decisions at a critical time. Be aware that things do not always go as planned. Don’t know what to do? Here are what great entrepreneurs do in difficult times. Strong branding and marketing strategy start with your logo—that is the foundation of any great brand strategy. Your website and other advertising collateral should communicate your brand and your vision. Your business branding and marketing should stand out in everything you do. For instance, something as simple as your business card can be used in an effective marketing strategy for our business. The way you design speaks volumes. Before charting a marketing strategy, it is important that you know what you want your business to represent. You need to have a plan that is in sync with your business vision and mission. Here is a guide to some strategies you can use. Have you thought out your financial strategies? How will you fund your business? Once you have your business plan on hand, you will have a rough estimate on how much money you will need. Good news if you have that amount on hand. However, it is not always advisable to put in your personal cash savings in your startup. At the very least, do not put all the eggs in one basket. Have enough backup cash if you plan to put your savings in your business. Well-Conducted market research will help you pin pain points in your business idea. It will tell you if there is a need for your product/service. You will get to know whether there is an opportunity in the market to turn your idea into a successful venture. Successful market research is a way to identify your customers, gather vital information on their demographic, your competition, deciding a location for your business and to find your niche. You can use that information to your advantage and find a competitive edge for your business. Market research is one of the best ways to reduce risks, which is why you should invest in it. You can do market research yourself or approach a business advisory service consultant. There are many market research firms in India whom you could approach. Read more on market research here. Ourbusinessladder is a 360-degree Entrepreneur Support Business development consultant specialized in global market research and business advisory service. We are one of the leading global market research firms in India.